Dehradun, capital of Uttarakhand is a very famous destination among tourists across the nation. Dehradun is famous for its scenic beauty and natural surroundings which guarantees a memorable yet mesmerizing experience. People, all across the world, know about famous places like Mussoorie, Lachhiwala, Dehradun zoo, Sahastradhara and so on. But there are still so many places in Uttarakhand which people don’t know much about. These places are those places which are filled with natural beauty and adventure. Uttarakhand is famous worldwide for its natural beauty and overwhelming weather. People come here every year from across the world for scenic beauty of this place. There are many places which are very famous among visitors but they are also very crowded. Very few visitors know about other hill stations around Dehradun which are as good as any other famous hill station. Some of these places are Kalsi, Chakrata, Kanatal, Lansdown and many more. Here is a list of top 10 places which people would love to explore during their stay in Dehradun. Kalsi is 45 KM (approx) from Dehradun. 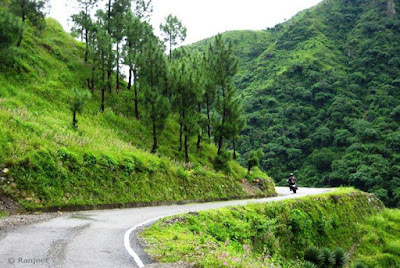 It is located at Chakrata road on a way to Chakrata. 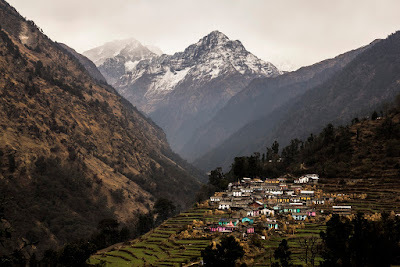 This is one of the unknown hill stations of Uttarakhand. This place is surrounded by hills and forest. In winter season people come here to see and enjoy snow covered hills and mountains. This is an ideal place for trekking and hiking. This is one of the less crowded places of Dehradun. So if anyone is in a search of close to nature feeling this place could be an ideal choice. Chakrata is one of the places of Uttarakhand which is famous for its natural beauty and sceneries. Chakrata is 90 KM from Dehradun, anyone can easily reach there through public transport. It is one of the places which is unknown to most of the tourists. Chakrata is a village which is surrounded by hills and mountains. This is an ideal place for trekking and hiking. One must come here in summer season in search for relief from heat of cities. 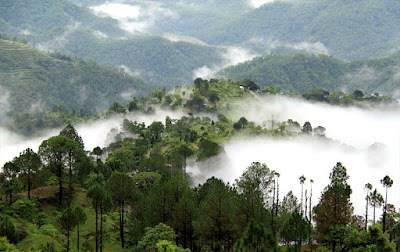 Dhanaulti is one of the favourite places among locals but this is also one of the unknown places for tourists. 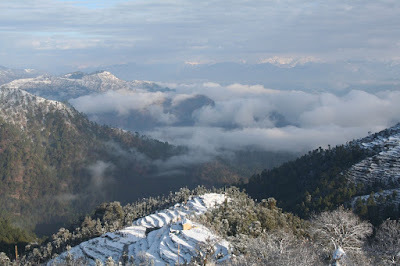 Dhanaulti is 40 KM from Dehradun, anyone can easily visit this place either through public transport or private vehicle. This place is filled with scenic beauty and natural sceneries. This is an ideal place for photographers and nature lovers. In the month of January, this place is fully covered with snow. Kanatal is a small village, 75 KM from Dehradun. Kanatal is among those places which are unknown to most of the tourists. 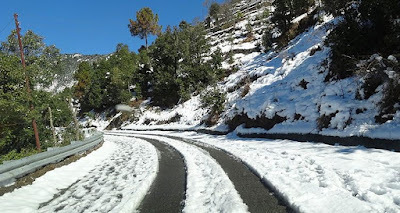 Kanatal has everything which a person desires from any hill station. This place has wanderlust natural sceneries. This place is ideal for trekking, camping, hiking and photography. People from neighbouring places come here to relax and get refreshed. Khati is bit far from Dehradun, it is 170 KM from Dehradun. This place is full of natural sightsee and sceneries. Khati is among unknown tourists places because of its distance from Dehradun. But, it is worth travelling to reach here and once you reach here you wouldn’t be disappointed. Anyone can reach here either through public bus or private vehicle. One must come here for memorable and mesmerizing experience of Himalayas. Lansdowne is a hill station located in Uttarakhand. 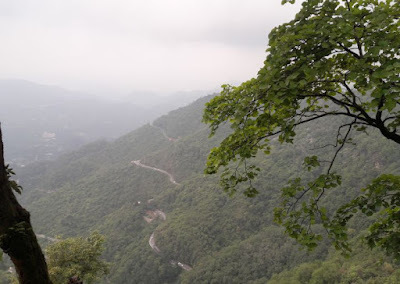 It is 150 KM from Dehradun, people can visit this place either through private vehicle or public bus. This place is unknown to most of the tourists who come Dehradun for vacations. People who come here are always fascinated by the beauty of this place. Its captivating natural beauty overwhelms people to a great extent. This place is filled with fresh and refreshing air which helps people to relieve their stress. Auli is 150 Km from Dehradun, one can reach Auli via Ambala - Poanta – Dehradun root. It is one of the unknown places of Uttarakhand for tourists. This place is ideal for ski and other adventurous sports. This place is surrounded by forest of oak trees. People come here to participate in adventurous sports and to find respite from stressful life. 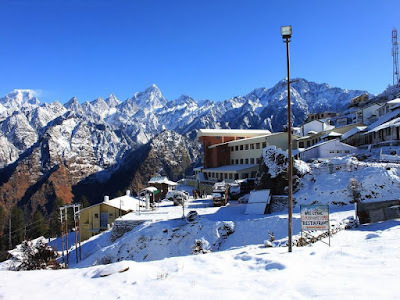 Auli hill station promises mesmerizing and memorable experience to its visitors. The sightseeing and ambiance of this place forces people to come here every year. A must visit place for sports lovers. Bike rental in dehradun. 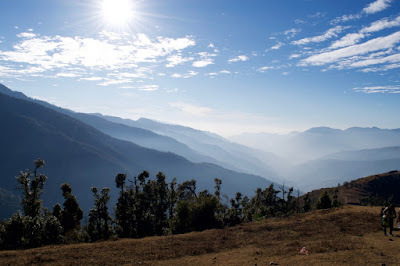 Nag Tibba is one of the less travelled places of Mussoorie, Uttarakhand. It is 90 Km from Dehradun, anyone can reach here from Mussoorie easily. The way to Nag Tibba is difficult; one has to walk a lot to reach here. This place is ideal for people who are looking for adventurous sports like trekking, hiking and so on. There are many high hills in Nag Tibba which are good for trekking. This place is also good for camping. The ambiance of this place is also good to find solace. Jharipani falls is a place located in Mussoorie. This place is 40 KM from Dehradun. People who want to visit this place can easily visit either through public transport or private vehicle. Jharipani falls is an ideal place for people who are looking for waterfalls. The ambiance of this place is ideal to spend quality time with one’s friends, family, spouse or lover. People come here to enjoy the waterfall and get relief from stressful life. Mossy falls is located in Mussoorie, Uttarakhand. It is 29 KM from Dehradun. It is one of the unknown places among tourists who come Dehradun from across the nation. One can visit Mossy falls either through public transport or private vehicle. 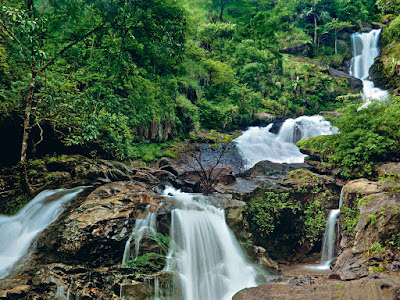 Visitors come here every year to enjoy the waterfalls and the peaceful environment. The surroundings of this place is also mesmerizing and memorable to its visitors. The ideal time to come here is summer season. These are the some of the less explored places of Uttarakhand. People who want respite from their stressful life and want to spend some peaceful time with their loved ones must visit these places. Come to these places for some days and you will feel rejuvenated and refreshed. The scenic beauty of these places will make your experience memorable.